One word: magical. Flip the switch and the sky glows with the colors of the Northern Lights. 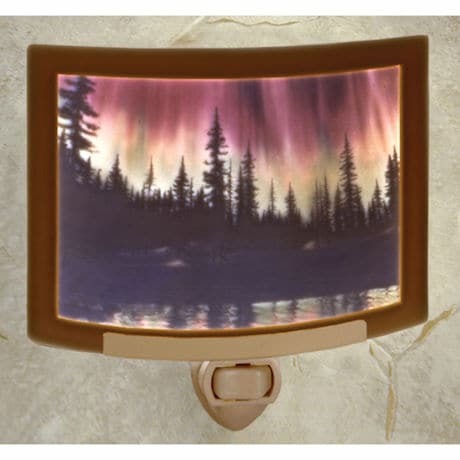 Gently curved night light is glassy, translucent porcelain, kiln-fired and impressed with a detailed image of a woodland scene. When lit from behind, it looks threedimensional. 5 ½" wide, 3 ½" high. 7-watt bulb included. Made in USA.